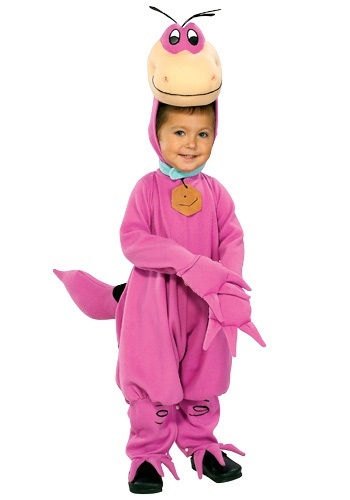 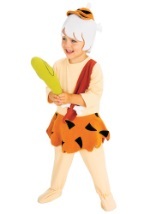 Become the Flintstones beloved pet and one cute dinosaur with this Kids Dino Flintstones costume. 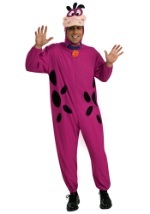 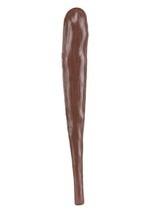 The soft fleece jumpsuit comes with an attached plush tail and claws, which are on the bottom of the sleeves and legs. 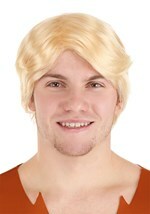 A Velcro closure is located behind the neck while brown spots down the back resemble stones. 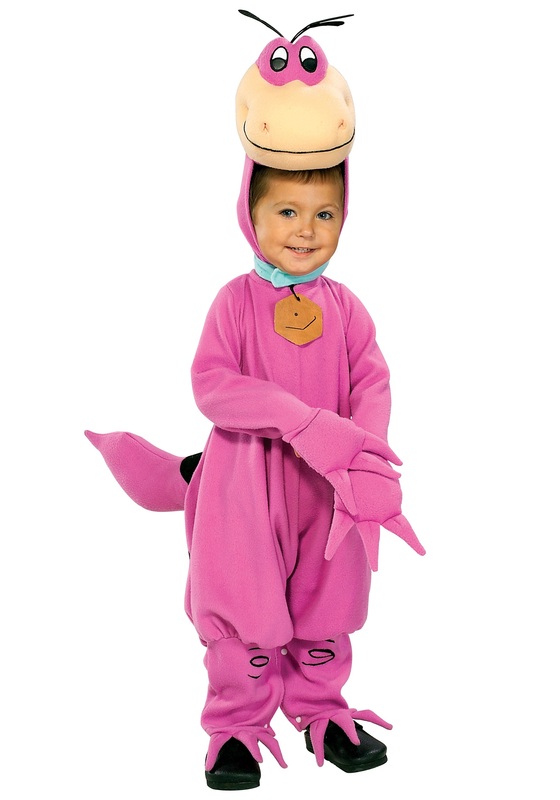 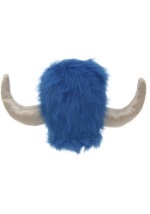 In addition, a Dino headpiece is also included. 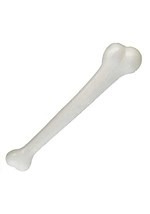 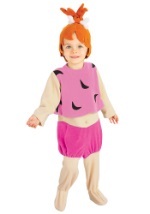 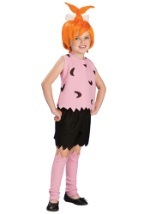 Transform into the Flintstone family's adorable pet with this Kids Dino Flintstones costume. 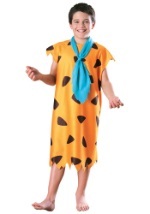 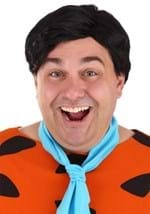 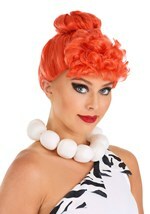 Create a family costume theme with our adult Flintstones costumes!